Black models are still very underrepresented in the industry. Melanin and showcase the fabulousness, the strength, the preservation that is the Black Woman and Man. when I announced this issue. I do hope you all enjoy it!! Big thank you to all the contributors within the issue. You are the real MVPâ&#x20AC;&#x2122;s that makes COLE and you are appreciated! in General, it is a truly exciting period to recognise woman whose work and talent breaks boundary and tells powerful stories in ways that most people may be incapable of comprehending. While black women may be under-represented in the industry, it is truly refreshing to experience the astonishing creations of an artist whose is truly passionate about what she does and understands exactly how to bring her pieces to life. Now at the age of 25, Shannon continues to push herself into new territories and challenges, a fact that she was glad to share with us in this feature. Cole mag: Tell us about yourself and how you started in the field? Shannon: Hello! I’m Shannon, I’m 26 and I’m a self-employed illustrator (and photographer) from the UK. My love for the arts started very young, so young that I don’t remember how old I would have been. While a lot of young children grow out of drawing at the dining table, I didn’t. My parents were always supportive of my passion; they pushed and encouraged me enough for me to believe I could do it for a living. 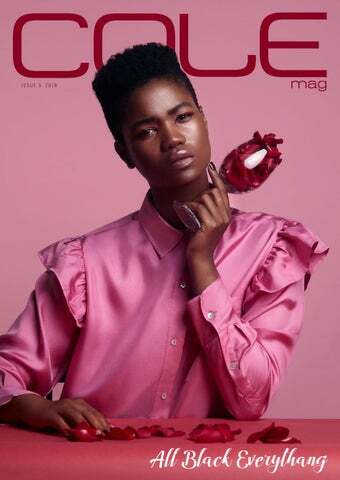 Cole mag: What made you want to become an illustrator? Shannon: Although it’s only recently that i took the leap into becoming a selfemployed artist, I’ve always been an artist, for as long as i can remember, so it’s tough for me to answer that. I would say it’s just what always felt natural for me. Cole mag: How many times do you tend to draw a character until it is right, and also how do you know that it is right? Shannon: I tend to draw a rough sketch and erase parts of the sketch bit by bit, over and over, until its right. It is usually 2 or 3 times per body part, but can be upwards of 10 times. You have to be very patient and believe that you will eventually get it right, and if you don’t, that’s a learning curve. I don’t think I ever “know” it’s right, I try not to concentrate on how realistic it looks, or if the proportions are perfect, if you like how it looks, that’s your style, go with it. Cole mag: Can you remember some of your earliest influences? 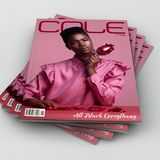 Cole mag: A lot of your illustrations include people, and in particular many illustrations feature women. What is it that draws you to illustrating people? Shannon: My biggest influence that i remember as a child was artist Amy Brown. I’ve always been inspired by fantasy, particularly books and folktale. Amy’s work heavily featured “fairies” and other mythical creatures. I have always, and still am, inspired by cartoon shows, particularly anything aired on cartoon network in the late 90’s/early 2000’s. Shannon: I’ve always been inspired by femininity and in particular the female form, as I am with my photography too. There’s no “right” way to be a woman, which of course opens a lot of doors to a lot of ideas in regards to inspiration. I’m inspired by Women in general, the way we create, the way we present ourselves, the ways we fight. The inspiration is endless. Cole mag: Which illustrators or artists working today do you admire the most? Cole mag: What tools or techniques can you share about your process? Is it all hand done or is there a computer involved? artist. It’s so important to remember how many hundreds, if not thousands of hours and practice that was put into perfecting that style. The best advice I can give is to practice, be patient, and practice more. North America positioned it self to become the main source of imports into Jamaica, including roughly 48 percent of the country’s food consumption. This is just one link in the chain that can be traced back to Africa, the archetypal motherland and supporter of life to the western world. If we imagine the west as an infant sucking on their mother’s breast, Africa, we can see how this continuous feeding results in a form of arrested development of the child. Yet, the reverse has happened: this continuous feeding upon Africa’s breast has left the mother depleted of nourishment for her own children, which in turn has resulted in Africa’s impoverishment. When we watch television, we’re presented with the malnourished children with flies in their eyes as an appeal is made to our empathetic nature to make donations to help them get running water. This dichotomy of Africa as the helpless dependent child and the West as the saviour has infantized the continent. But this Africa we see, poor and seemingly cursed by perpetual bad luck, makes us sigh and wonder why Africa just can’t seem to get her act together. But the question we should be asking is who and what is responsible for Africa’s underdevelopment? According to Walter Rodney in his polemic book entitled How Europe Underdeveloped Africa, ‘imperialism is largely responsible for the economic retardation of Africa by draining Africa’s wealth and by making it impossible to develop more rapidly the resources of the continent.’ However, what is equally important, and what many of us won’t like to admit, is our own involvement in contributing towards the exploitation of Africa and Africans through our endless pursuit of consumerism, and addiction to products as we upgrade our phones to have the latest model when they are still working, and the exotic food we eat which is sourced to the detriment to other communities in developing countries. From our love affair with diamonds to our addiction to artisan coffee, Africa feeds all our insatiable desires and maintains the lifestyles we love so much. The first chattel slave stolen from Africa and shipped across the Atlantic to fulfil the European dream of a New World, marked the beginning of the scramble for Africa. The surplus money from slavery funded the advancements in technology, eventually leading to the Industrial Revolution, and the world as we know it today. In addition to the commodity of slaves, Africa’s natural resources were also beginning to be exploited. Gold was instrumental in the expansion of Western Europe. For example, it enabled Amsterdam to become the financial capital of Europe during the 17th Century. The English guinea first coined in 1663, was made from gold imported from the Guinea Coast. Gold was also responsible for financing Portugal’s sea navigations to seek new countries to exploit and expand their colonies. Slavery continued to be a source for the accumulation of capital which was reinvested back into Europe. In the Belgian Congo, under the heinous rein of King Leopold II, extreme violence was used to force Africans to collect rubber cheaply for maximum profits by any means necessary. Those who refused to collect rubber were killed and villages destroyed, hands were chopped off, and women were raped as a form of punishment and intimidation. It is estimated that about 10 million people were killed in Congo’s rubber industry during 1885-1908. So, while Europe and America thrived and made advancements in technology, Africa was plundered and descended into a pit of poverty, left to subsist on conflict and corruption. Today, the story of Africa is still one of exploitation and poverty, and while we mindlessly swipe left and right on our phones, someone in the Congo is being killed and raped so that we can be entertained. taken to Europe from South Africa under the false pretense that she would split the profits from any show she was featured in. Baartman was displayed completely naked and exposed. European audiences would gawk, mock, and eventually imitate her physical characteristics through fashion. Her humanness was questioned by the Europeans and therefore the limits to what was allowed to happen to her were almost non-existent. Often treated like an animal in a zoo or circus, Baartman experienced humiliations that my 21st century mind could hardly comprehend. Yet, her physique was used to push a trend in European fashion where the woman’s waist was girdled and buttocks drastically exaggerated. Demonstrating that even in the early 19th century the fashion industry took what was seen as desired of the Black women leaving them to cope with the objectification of their bodies. When will there not only be a consistent space for Black bodies in the industry, but a truly integrated space where the opportunities are equal? Models of color are often competing for one spot out of dozens. While models of European backgrounds have several opportunities to be casted in runway shows or featured in magazines. Systematic Racism is not a new phenomenon but an old system which benefits anyone in society of European decent and gives them the opportunity to take what they want and leave the scraps for the rest of the world to fight over. What does it say about the world, when the perfect woman in the eyes of society, is created by a white male?